Even though we were still quite a few miles away from Mombasa, I could smell the briny air wafting in from the sea. We had made the nearly 300 mile journey from Nakuru by road. More road hours than we cared to count. Bathroom breaks. Scenery changes from the fertile highlands of the Rift Valley, to the savanna grasslands and flat-topped acacia trees of the Tsavo plains. Finally, finally, we approached the wide expanse of the Indian Ocean as we reached the Kenyan Coast. I returned to Mombasa several times after that first trip as a preteen. The deep blue seas always called out my name and I answered, this love for water bodies having been passed along in my DNA. I’ve stayed both on the North Coast and the South Coast (Mombasa is an island, you see) and my heart just gravitates towards the South Coast. Driving down the main road in Mombasa, the huge tusks that arch over the street were amazing to behold. That first time, I wondered how big the elephants that had worn those tusks had to have been. Exploring the beautiful, mysterious waters of Malindi National Marine Park in a glass bottomed boat was my favorite experience of all time. So many wonderfully colored species of sea-wildlife: fishes, seahorses, sea urchins. Next time I go, I’ll try scuba diving. Other places of interest in or near Mombasa include historical monuments (Fort Jesus, Old Town, the Vasco da Gama pillar and the House of Columns–the latter two in Malindi), the Gede ruins, the Haller Park animal sanctuary, spectacular geological formations at Hell’s Kitchen, the flora and fauna around the mouth of River Sabaki, coral reefs, and the Mamba Village, among others. 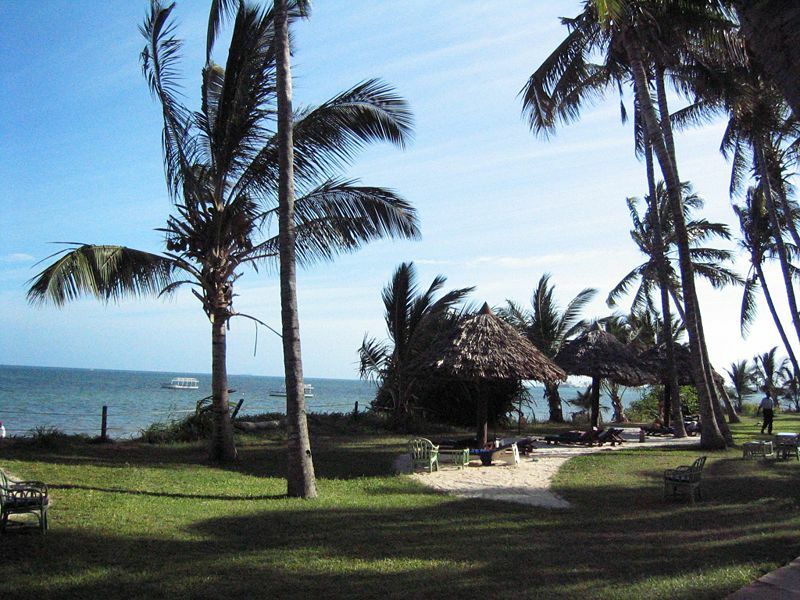 There’s so much to experience (not merely see) at the Kenyan coast, with the rich blend of cultures from its centuries of history: a conglomeration of Bantu ethnicities, some emigrated watu wa bara (Swahili for “people of the mainland”) and influences of Arabic, Portuguese and British culture. Really, I just couldn’t ever say enough good things about the blue, blue skies and seas, the white, sandy beaches and the glorious days of fun at the Kenyan coast. No crowded beaches (thank God!). So, two words for you: Go! Experience!